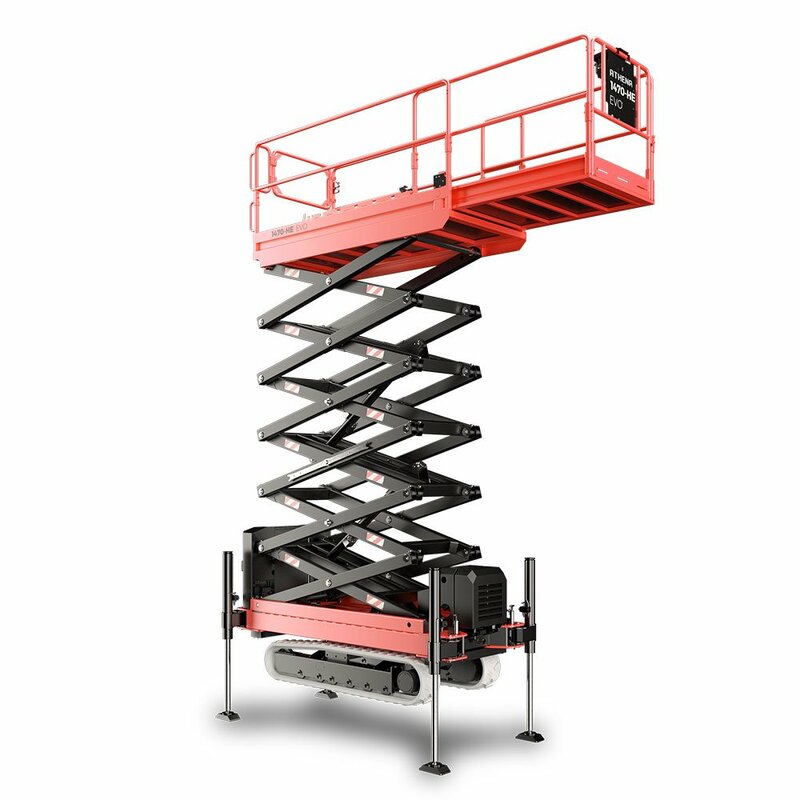 The compact and narrow design of the Athena HE scissor lift provides versatility to fit though tight access ways and to operate in confined workspaces. The outriggers can be widened to provide greater support and safety when working on either flat or sloping terrain. 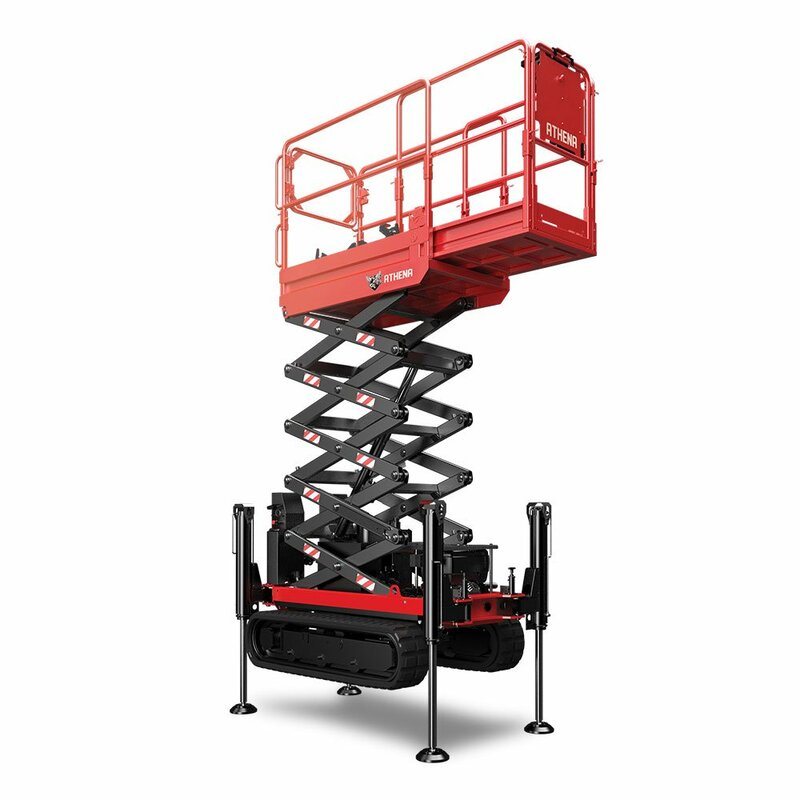 Athena Compact Tracked Scissor Lifts are available in two working height models, the 850 HE, the most compact model, and the 1470 HE EVO, the tallest of the Athena Scissor Lift range.